S.J.Budd - Come and Behold My Dark World: What are Restrictive and Non-Restrictive Clauses? A clause is a group of words that usually contain a verb and other components. Clauses can form sentences on their own or with other clauses in a compound sentence. A restrictive clause provides essential information about a preceding noun within its sentence structure. Without the presence of the restrictive or defining relative clause. A restrictive clause is usually connect to the other clause/s by the following conjunctions: that, which, whose, who and whom. A comma should not be used in front of a restrictive clause. The mermaid who accidentally gave pirates the wrong directions, felt silly. In the above sentence, the mermaid is the restrictive clause. A non-restrictive clause is a clause that provides extra information which is not crucial to the sentence. Again with restrictive clauses, a non-restrictive clause is connected to the other clause/s with the following conjunctions: that, which, whose, who and whom. Again you should not place a comma in front of them. 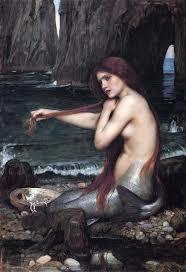 The mermaid whose hair was always wet, gave the pirates incorrect directions to Atlantis. In this sentence the non-restrictive clause was - whose hair was always wet . It is simply additional information that is not crucial to the meaning of the sentence.